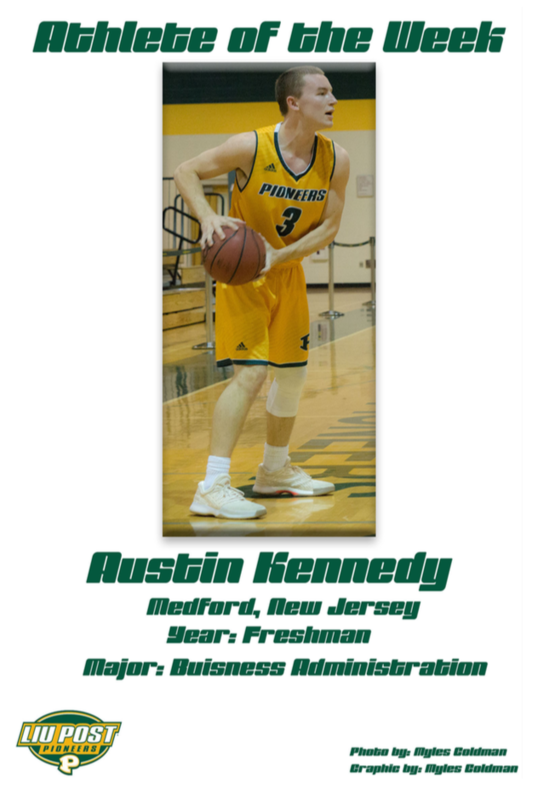 Men’s basketball’s freshman guard, general business major, Austin Kennedy from Medford, NJ has had a week to remember. On Jan. 29, Kennedy was named the East Coast Conference (ECC) Rookie of the Week. 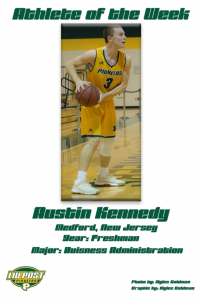 Peter Lipka, assistant coach for the men’s basketball team commented on Kennedy’s season, “We knew Austin could help our team right away so redshirting was not something we imagined. He’s a tough-minded kid that comes from a great high school program so he’s been prepared from day one. We imagine he’ll continue to grow as he gets more game experience and builds chemistry with his teammates. It’s been a pleasure to coach him.” Lipka said. Even though Kennedy is just a freshman, it seems that he has the potential to be a star for the men’s basketball team.